ViSOR contains a large set of multimedia data and the corresponding annotations. 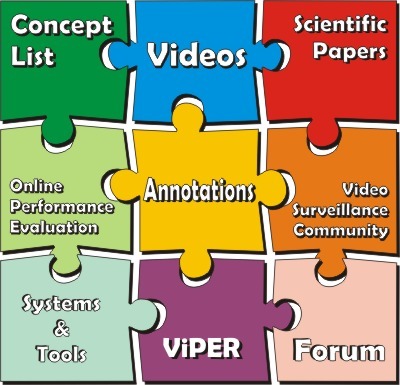 The repository has been conceived as a support tool for different research projects. Together with the videos, ViSOR contains metadata annotation, both manually annotated ground-truth data and automatically obtained outputs of a particular system. In such a manner, the users of the repository are able to perform validation tasks of their own algorithms as well as comparative activities. People interested in collaborating in this project should contact Roberto Vezzani.